House with 5 bedrooms (4 en suite) for 12 people. Excellent house in full integration with nature, where you will spend great moments enjoying all the infrastructure offered by the best vacation condo on the coast of São Paulo; 5 bedrooms (4 suites) + 2 toilets, kitchen with refrigerator, freezer etc .., living room with TV (cable), balcony, barbecue and pizza oven, garage, all rooms with air conditioning, TV and exclusive pool and free wifi. 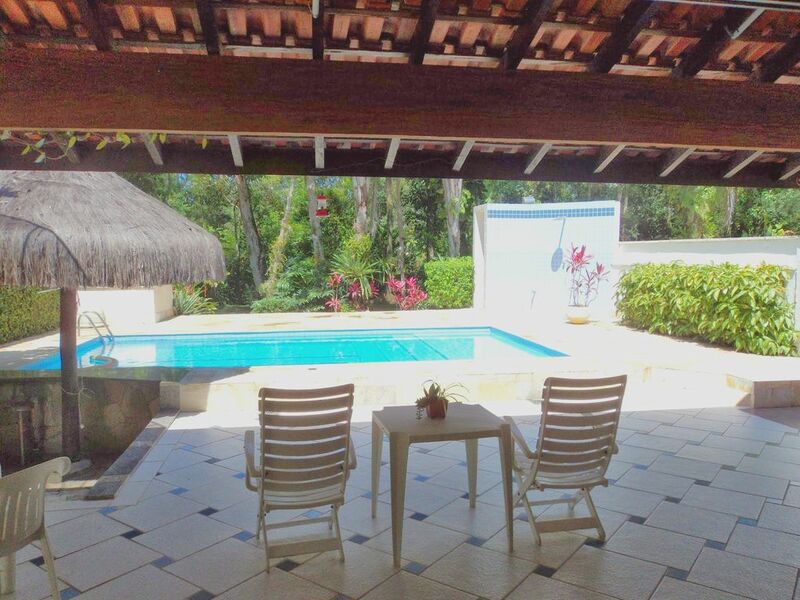 The house is located in the best condominium beach São Paulo state, with its own water treatment and sewage, 60% of the area is rainforest with its lush fauna and flora, it is normal to see monkeys, toucans and lots of birds. Other Activities: Bowling in Shopping and horseback riding.